Add charm and color to Christmas Rice Krispie treats with these recipes you will seriously have fun making yourself or with your pack of adorable munchers! From presents and parties to concerts and outfits, there are just so many ways to celebrate Christmas! And as you know, I like to take the merriment into my own hands (pun intended). I always find ways to make Christmas about the effort and time we spent creating things that everyone can enjoy during the holiday season. So, for the past couple of days, I've been on the hunt for the best Christmas Rice Krispie treats recipes I can make myself and share with my loved ones. Make these treats with your own family to get into the spirit of Christmas! The variety of ways to make Christmas Rice Krispie treats will keep your imagination on a high even after Christmas. Not only are these Christmas Rice Krispie treats creative and innovative, but they are also the perfect opportunity to spend some quality time with the people dearest to you. I remember spending almost every Christmas season making Rice Krispie treats with my kids! It makes me happy that they enjoy spending time with me, but it makes me even more proud to see them sharing what they've made with our guests and relatives! Light up the season with these Christmas lights rice Krispie treats! Making these treats yourself allows you to put your own personality into it, and maybe even come up with an ornamental version to hang around the house! Truly festive! Snowmen that will melt not in the sun but in your mouth! These Rice Krispie snowman treats are perfect for adding life and action to your Christmas confections! Make a statement with these decorative Christmas Rice Krispie bars! This recipe is made to help you bring out your inner artist! Make various signs and letters with these quick and easy steps! The Christmas season is a time to bundle up and seek comfort in warmth. There simply is no room to enjoy anything cold! 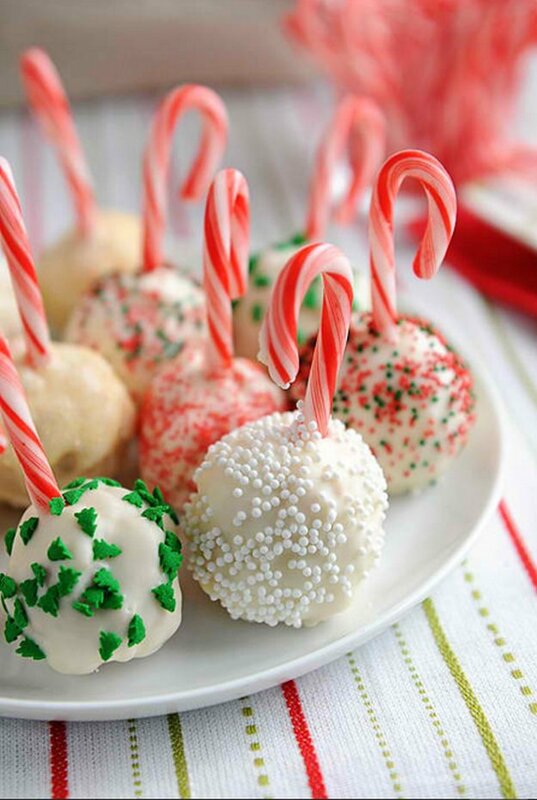 But you can create the illusion of eating your favorite popsicle with these Christmas Rice Krispie treats on a stick! Candy canes are everywhere during the Christmas season! Sometimes you get tired of the usual old candy canes hung around the stores. Mix things up by turning them into Christmas Rice Krispie treats! Put a spin on the Christmas season staple by turning them into Rice Krispie treats! Your little one might be too young to lend a hand decorating the Christmas tree. Let them have some fun embellishing this Christmas Rice Krispie treat instead! Add the refreshing twist of peppermint into your Christmas Rice Krispie treat! This recipe makes sure you include the ingredient without having to compromise the festive look! Who doesn't love M&M's? With this timeless candy, your Christmas Rice Krispie treats will be Magical & Merry! Use some Christmas colors like red and green and put that new meaning into M&M's with this recipe! A recipe idea that's as bright as Rudolph's nose! Put on the classic carol while making these treats for a lovely and joyful bonding tim. These assorted Christmas Rice Krispies will have you feeling like the DIY expert that you are in no time! There's just so much room to be creative and bring to life whatever you want! You can DIY your way into being Willy Wonka! A Christmas decor that's edible? Transform your house into the famous chocolate factory with these Christmas ornament Rice Krispies! Your go-to giveaway for Christmas! Hand out these reindeer Rice Krispies to keep that childlike wonder alive this holiday season! This recipe is already creative enough but I'm sure you can find a way to DIY your own mistletoe too! It's all about decorative Rice Krispies now! Incorporate all the Christmas elements you can with this Christmas Rice Krispies recipe! Add candy canes, Christmas wreaths, Christmas decor, and more! The bigger the snowball, the better! This Rice Krispie cottage is a refreshing alternative to the traditional gingerbread house. This recipe can transform to suit your whimsy. Before you know it, you'll be making castles instead of cottages! Check out these Rice Krispie Christmas trees for your Rice Krispie Christmas village! Can you imagine these tiny edible trees filling your mini Christmas town with life? This recipe will help you create the centerpiece of your Christmas spread! Watch this video from Britt Box for more ways to create your Christmas Rice Krispie treats! Desserts should always be tasty and fun. 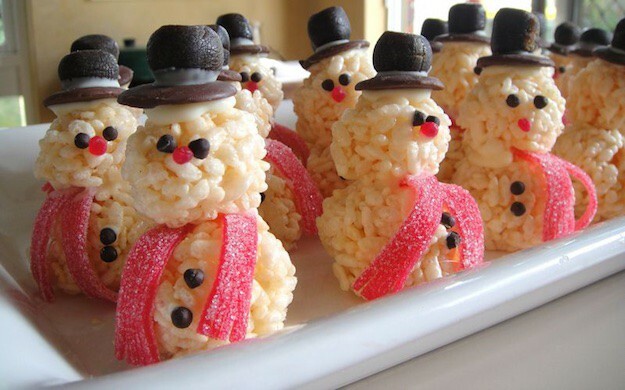 Get into the holiday spirit with these ingenious Christmas Rice Krispie treats! These exciting treats will surely put everyone on the Nice list. No more naughty ones with this indulgence! How do you like your Rice Krispie treats? Let me know in the comments section! Editor’s Note: This post was originally published on December 2, 2016, and updated for quality and relevancy.